Zucchini noodles are what you have been waiting for. Each day in my practice I have patients who are dealing with food allergies, food sensitivities, irritable bowel syndrome or other conditions relating to hormonal imbalance or autoimmune diseases. There is no doubt that the food we eat can either be our medicine or be our poison. If we have identified dietary triggers we are one step closer to restoring health and optimal wellness! One of the most common allergens, sensitivities and gut irritants is gluten – and even grains in general. Celiac Disease diagnosis has tripled in the last 20 years in children – it is not a fad. This means that people are required to give up an easy and often favorite food: pasta. But let’s look at it as an opportunity to feel better – focus on the positive, right? Flour pasta is devoid of nutrients and is like eating a plate of sugar. One of my recommendations is to start using vegetable noodles. Zucchini and yams are great replacements for your more traditional pasta. Packed with essential vitamins and minerals, they offer another way to get our daily intake of vegetables and fiber – something most of us are lacking in. 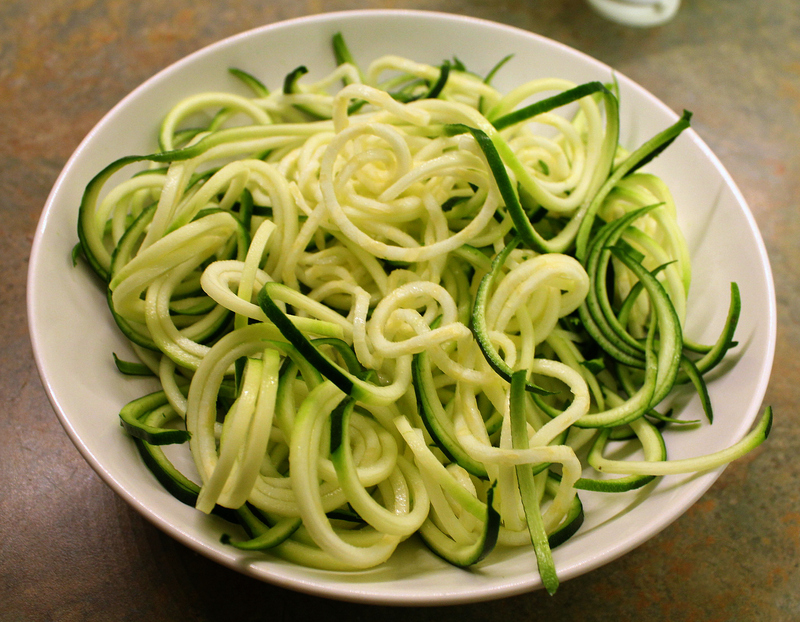 Preparation time is virtutally nil – simply use a spiralizer or vegetable peeler and voila – “noodles”! I use them in dishes ranging from spaghetti to stroganoff to pad thai! 1. 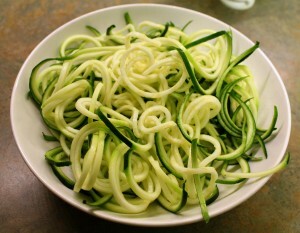 Place the spiralized or peeled zucchini in a bowl and toss with salt until lightly coated. Allow to sit for 30 minutes. 2. Rinse with water, drain, and pat dry. 3. Heat a large skillet over medium high heat and add the zucchini noodles. 4. Saute in the dry pan for 1-2 minutes, reduce heat and add olive oil. 5. Season with salt and pepper! This recipe is thanks to Well Fed – check out her blog or books for additonal recipes. Another favorite spot for vegetable noodle inspiration is Inspiralized!